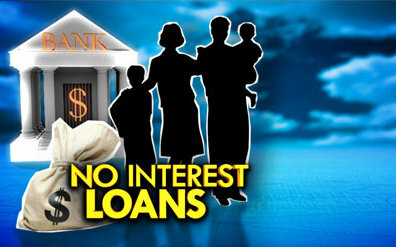 The overall concept of non-interest banking prohibits money earned or money received on money itself. Thus, there is no distinction between usury and interest. Meaning that even if the additional element on money itself is so little, it is still regarded as interest. If money should not be seen as a commodity that earns more money, the option then becomes dealing in asset-backed transactions, services or utility. Practically there are several contracts in non interest banking amongst which is ‘interest free loan’ or qardh. This may be used as an asset or liability product. Practically, non-interest banks use the ‘interest-free loan’ contract for their current account. Globally, several other contracts may be used for current account which includes safekeeping (wadia) contract; trust (amanah) contract; and even partnership (mudarabah) contract. In Nigeria, ‘interest-free loan’ contract is used by all commercial banks offering non-interest banking services. In this case, customers lend their money to the non interest bank and the bank (borrower) gives these funds back to customers without interest. The bank cannot also give any financial gains to the customer for keeping this fund. However, this contract allows the bank to use the money for business but must return it to the customer whenever he or she requests for the funds. So if a customer keeps N100,000 with a non interest bank on January 2, she/he can collect the entire money anytime and the bank must return such monies regardless of whether it has been used for trading or to create risk-assets. The bank also pays premium to the Nigeria Deposit Insurance Corporation (NDIC) just like conventional banks. What then happens where someone wants a debit card, cheque book and internet banking services? Such are seen as separate service contracts which is independent of ‘interest free loan’ contract, thus customers are expected to pay charges for such services. It may however be observed that even before the cancellation of COT, the Central Bank of Nigeria (CBN) already frowned at non-interest banks who took such charges. As a risk asset, non interest loan is also practical in banking. It is amazing to observe from experience that most people that want facility to improve their businesses had assumed that the non-interest bank would just give them the money without interest. In non interest banking model, business transactions are appraised with other contracts rather than the interest-free loan contract. Interest-free loans are mainly used to support those in challenging circumstances. In a country like Sudan, the government or apex bank may give interest-free loan intervention funds to non interest banks especially those with micro-finance interest since the entire banking system is based on Islamic commercial jurisprudence. In Nigeria, it is practically challenging to give out non-interest loans except it is established that a good customer of the bank has short-term difficulties and needs a short-term loan to meet such obligation. A few years ago, I found myself being invited by a known blue chip company who needed a few billions of Naira to complete a housing cooperative project with a 10 year repayment plan. The customer who happens to be Muslim insisted on interest-free loan for this project and asserted that anything outside his proposed arrangement was not compliant. This experience aside many others clearly shows that the overall understanding of the application of non-interest banking principles is unclear to many. The interesting thing about the non-interest banking model is that it has variation of different contracts specifically applied to various business cases or propositions. This is indeed what makes the concept unique, yet fluid to absorb even more financial modelling.